FCA North America includes operations across the United States, along with several sites in Mexico and Canada. Explore our highlighted locations for a choice of unique lifestyle experiences. FCA is located just outside of Detroit “Motor City” in the community of Auburn Hills, Michigan. It is here that we house more than 11,000 employees and our renowned Chrysler World Headquarters and Technology Center, which serves as the hub of FCA research and development. This site has the distinction of being one of the largest freestanding business complexes in the world. In fact, in the United States, the building ranks second only to the Pentagon. 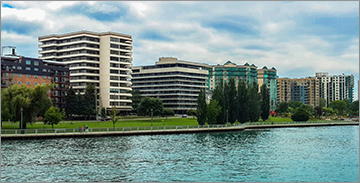 Conveniently located with easy access to the US, Windsor, Ontario offers affordable living with big city amenities. In the heart of Windsor, you’ll find trendy restaurants, great nightlife and a variety of year-round activities, festivals, and events. Take a few minutes to head to the county and you’ll discover award-winning wineries, beautiful beaches and miles of trails. From city to country, the Windsor area offers the perfect location for your family’s lifestyle. The city of Saltillo, in the state of Coahuila in northeastern Mexico, is home to several FCA plants — marking one of the most automotive-centric areas of the nation. 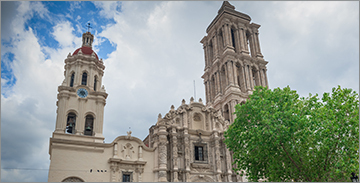 It is a colorful city, blending colonial history with modern museums, urban parks, traditional cuisine and galleria-style shopping. 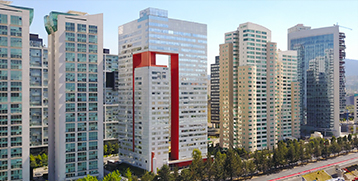 Santa Fe is one of Mexico City’s major business districts, located in the rolling hills to the west of the City center. It is fast-growing contemporary area that is home to FCA’s Mexican headquarters. Santa Fe is notable for its many new high-rise buildings, three universities, a commuter rail line, and the largest shopping mall in Latin America. The Sierra de Las Cruces Mountains are just a short drive away, with hiking, biking, camping and horseback riding available at Desierto de los Leones National Park.